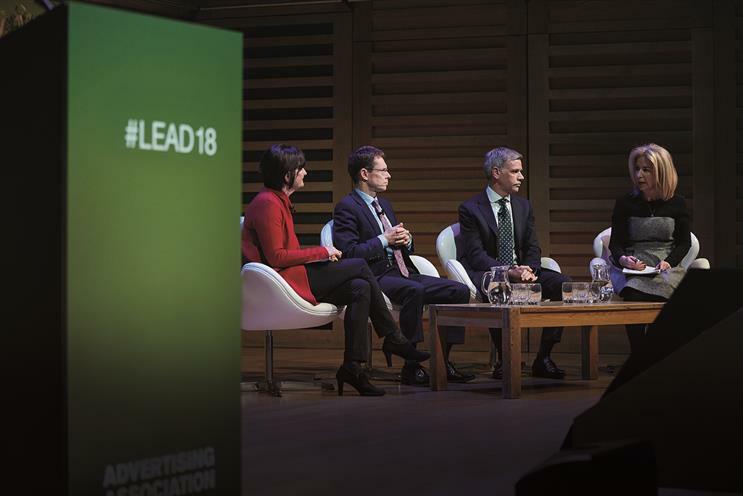 The LEAD 2018 asked big questions about post-Brexit strategies for advertising. What can be done at home, particularly outside of London, to boost growth? And how can the industry tackle one of the biggest threats to growth - trust? 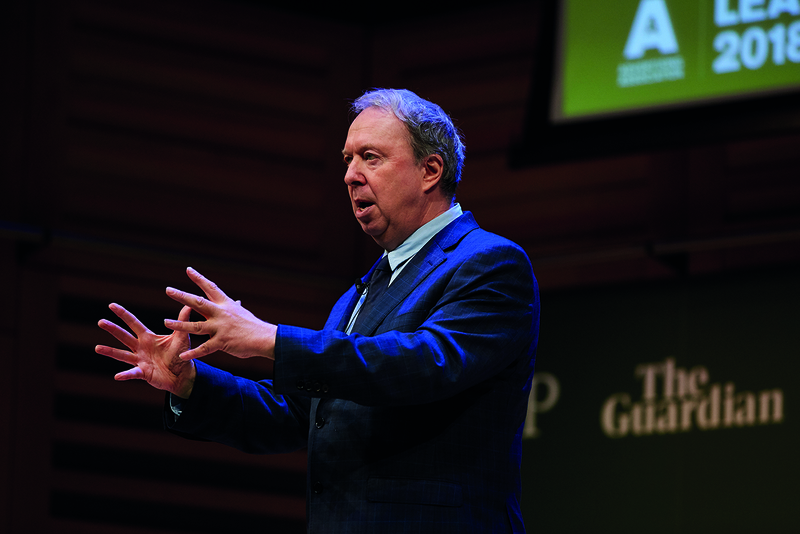 The Advertising Association’s (AA) annual summit, set out to answer the big question of how to power growth beyond Brexit. With UK adspend up to a record £22.1bn, it's clear that the sector is responding well to changes brought about by 2016’s referendum result, and with global adspend predicted to grow by 4.7% to $572bn in 2018 (WARC), the UK is still a highly desirable place for people to come and work. As well as promoting UK advertising’s global reputation, there is more that can be done to boost it at home. 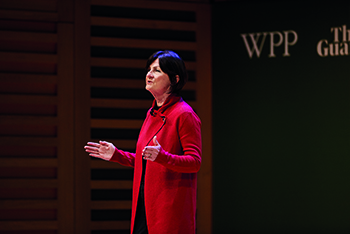 Siobhan Kenny, chief executive, Radiocentre, issued a reminder that 57% of the ad workforce is outside the capital, and there are plenty of UK companies that can be encouraged to make advertising work for them. Also launched at LEAD was regional film A great advert for Britain part 2 – showcasing and celebrating those 57% of the ad workforce. A great advert for Britain: The UK - not just London - is a hotbed of creativity from Advertising Association on Vimeo. Only 18% of ad spend currently comes from SMEs and converting more of them to clients will drive the industry’s growth. Kenny revealed an initiative to encourage more advertising among SMEs, with a targeted plan to launch new industry knowledge hubs in the nations and regions, offering advice and information about advertising to SMEs. The AA will be running two pilots in Scotland and West Midlands later this year and will be talking to local authorities, LEPs and other bodies about how they can help. Andy Street, mayor of the West Midlands, and former boss of John Lewis, said there were plenty of great stories for advertising to tell in the region, which is rich with opportunity due to a regional economic plan that emphasises high value jobs in sectors such as automotive, pharma and digital. However, he pleaded for simplicity. "You can’t just tell firms to go online and advertise. You must help them to tell a marketing story. The most difficult thing is to think how you are distinct," he said. Investment and growth are crucial to advertising’s future, but both are threatened by one of the defining issues of the day – trust. Research by advertising think tank Credos paints a mixed picture. Legislators’ attitude to advertising is increasingly positive, with 72% of MPs trusting the advertising and 79% agreeing that it is important for economic growth. However, just 35% of the UK public are favourable towards advertising and it continues to be at historic lows in comparison to previous decades. The problem is that trust is lost quickly and takes a long time to regain. Media guru Nick Manning said: "I’ve never seen the industry suffering a crisis of confidence like this in 40 years. Brands and advertising are no longer trusted." Advertising faces a war on multiple fronts to tackle trust, he said, not least around brand safety. The industry has to lead the way and see rebuilding trust as a task to be undertaken on a day to day basis. "To tackle effectiveness marketing needs to be the engine for growth in business." In the age of fake news, brands and advertising could step into the trust gap, suggested Michelle McEttrick, group brand director, Tesco. Its Everyone’s Welcome positioning was given real meaning at Christmas when social media critics jumped on a festive ad spot featuring a Muslim family. They were drowned out by supportive voices. "It struck a nerve and captured the mood of the nation. Customers came to argue that everyone was welcome," said McEttrick. While trust in institutions was plummeting, Hearst UK’s CEO, James Wildman, pointed to a revival in trust in traditional media. "We need to play to our strengths. Professionally produced media will become more important." Brands have to recover their ability to be a force for good, not just a force for growth, said Stefan Feitoza, marketing director, P&G. "We need to deliver what the consumer wants and we need to raise the bar on creativity." Feitoza showed how Pampers had incorporated audio description on ads to make them accessible to the millions of people with sight loss. This simple adaption completely changed the way consumers engaged with brands, he said. AA president Andy Duncan concluded by reminding LEAD that all was not doom and gloom. "This is a highly successful set of industries that is growing strongly. UK advertising has grown to record levels and there are lots of reasons to remain confident." Should the industry take a more leading role in negotiating the best Brexit for Britain? Read part 1 to find out how the UK advertising industry can work more closely with government to power growth outside of Europe.